There aren't many times when I actively hate diabetes. The past few days, however, has been one of those occasions. Constant high blood sugars for no apparent reason. Four pump sets in 48 hours. I haven't been binging, so that's not it. I'm not sick. I have no idea what's been causing this mess. I've seen more numbers starting with a 2, 3, and yes, even 4 in the last two days than I care to think about. Yesterday was especially bad. I was stuck in the low 400s for hours. 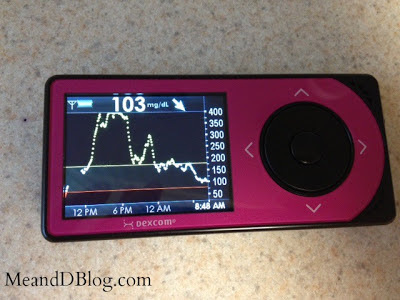 Yesterday was the worst diabetes day I've had in a long time. I HATED diabetes, with every fiber of my being. Today has been better. I'm sitting at 212 post lunch right now, but after the last 36 hours, I'll take it. This is all especially frustrating since I have my endo appointment next week. The one saving grace about yesterday? 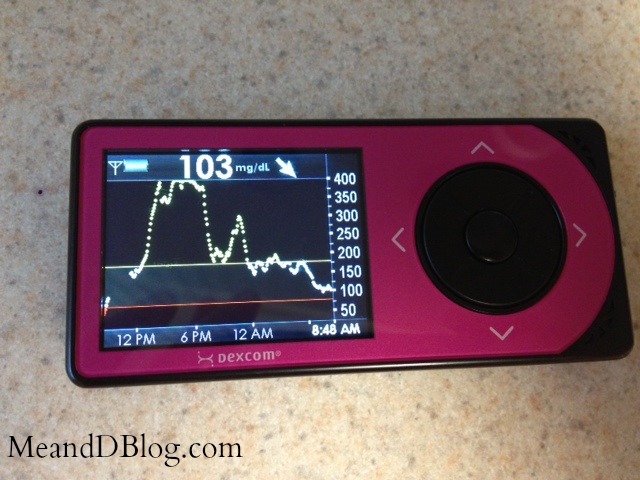 The brand new Dexcom sensor I put in yesterday morning was spot on from the get go. So at least there's that. Oh well. As my grandma always says, "This too shall pass." My mom always says, "This too shall pass." Hugs to you while you wait for that saying to come to fruition. "This too shall pass," and sending you lots of love and hugs! I'm always happy to read posts like these. Don't misunderstand, I'm not happy that you've had a couple of miserable days. It's just nice to know that I'm not the only one who has rotten days that I can't explain. Hope the Dex arrows are heading down and you're feeling a lot better! ugh. i think it's better now. be careful out there. Oh how I get this!! I was exactly where you are a couple of weeks ago. I even ending up being a little late with something I was writing because I was so fed up with diabetes that I couldn't sit down and write a single positive word. But you are absolutely right. I will pass and be barely a memory. That doesn't make it any easier when your in it though. Sending hugs and lowering vibes.